After a couple months of planning, the execution worked out perfectly. Mike reached out to me beforehand to discuss his vision. 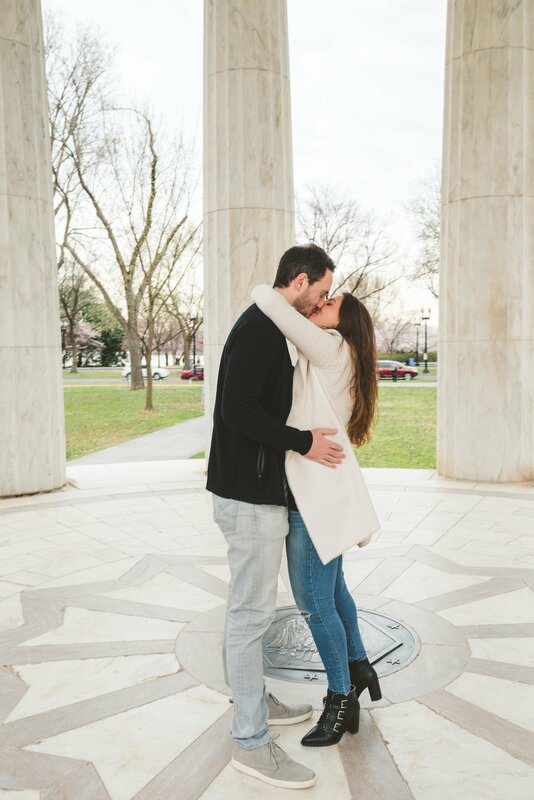 His lucky lady, Alex, wanted the cherry blossoms, and we delivered. However, it took some luck and precise timing to make these beautiful shots happen. Springtime in Washington DC has emerged slowly this year. It was only a few days before their arrival that the cherry blossoms started to bloom. Luckily, warmer temperatures in the days leading up to the shoot accelerated the timing of the peak bloom. 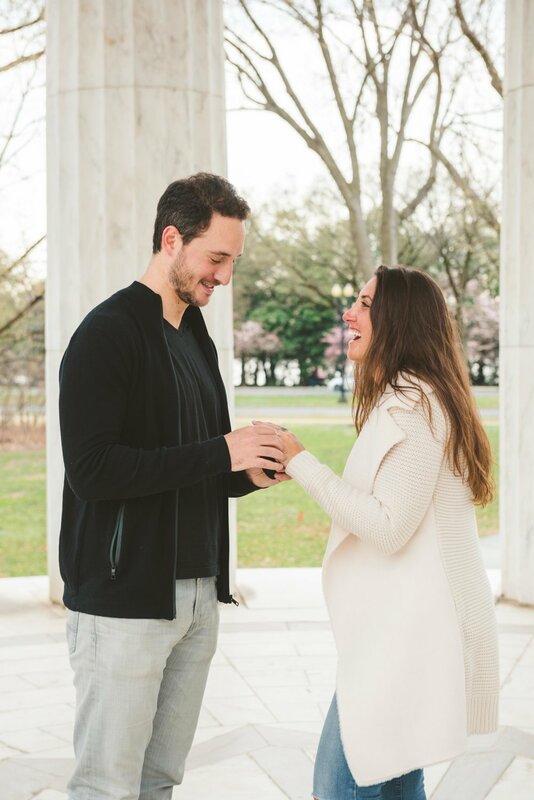 I was thrilled that spring arrived just in time to provide a beautiful backdrop for Mike and Alex’s special moment.